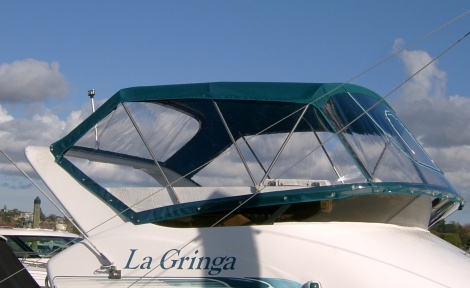 Custom made canopies using only the best Sunbrella fabrics, for runabouts, launches and yachts. Remodel using existing frames or design and build from new. Bimini tops and bimini - dodger joiners and weather protection panels as well! !